soo... I'm getting bored with my stock h22a swapped prelude si. anywho.... I just want a little above stock power on a stock bottom end and without pulling the head. Just easy stuff. by that time my clutch'll probably be going out so possibly an OEM Exedy clutch kit. tips, tricks, advice!!! I'll be collecting parts till spring so I've got time to think and piddle. yes, this is my DD atm so that's why I'm not willing to pull the head and port n polish it, pistons, etc yet. not going for crazy just fun. Last edited by TypeT; 11-21-2011 at 03:45 AM. I thought the stock fuel system on these were good until about 210-220 hp? Ya k&n filter should be on that list too. I got a chipped po6 chipped from xenocron. I was just going to use that cuz its cheap. do it right the first time or dont do it at all.. I never said it wasn't getting tuned. That's what the chipped ecu is for. I just want to scrape out some more potential out of this motor without rippin it all apart. if you arent sure you are going to keep the car, whats the point in putting money into it you'll never get back? I'm talking about at the track. All the guys down here arent really into jap cars so I'd like to see just a tad more respect from them. And ya it's a throw up whether someone offers me enough for it I might sell it. If not, I'll keep it and play with it. 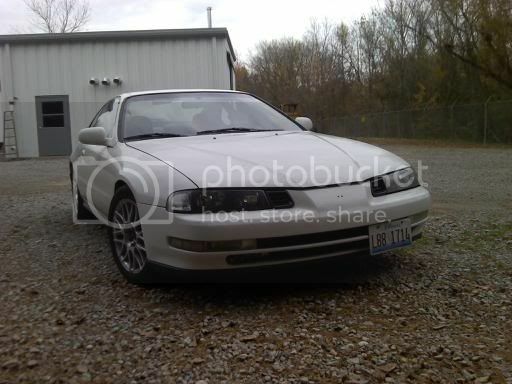 And no, if I wanted 300 horse I would have gotten an Integra.. Im just wanting to learn more about this chassis. God forbid I thought guys on here would be more helpful than Honda-tech. Guess I was wrong on that one..
God forbid I thought guys on here would be more helpful than Honda-tech. Guess I was wrong on that one..
everyone think its easy to get power out of these, but its not. its expensive and you have to do more than just bolt on things... you have to rebuild almost whole engine over again (because motor is wholeness you have to think whole picture: from the air intake to the exhaust tip - everything effects on everything) and it takes some research work and money... you seem to little bit lost here first talking about bigger build, then about selling your car and installing bolt ons. doesnt make sense, since building lude needs dedication. there is easier cars to build if you want to make more power than stock. Ok THATS what I wanted to hear. Sorry if I've confused you but ignore what I said about selling it, it's a long story. Let me rephrase this.. How can I get closer to 200 wheel horsepower on a stock bottom end? So far ive been advised skunk2 pro 1 or tuner stage 2 cams WITH the valve train, hytech replica header, high flow cat, 3 inch exhaust, bigger fuel injectors and a tune. 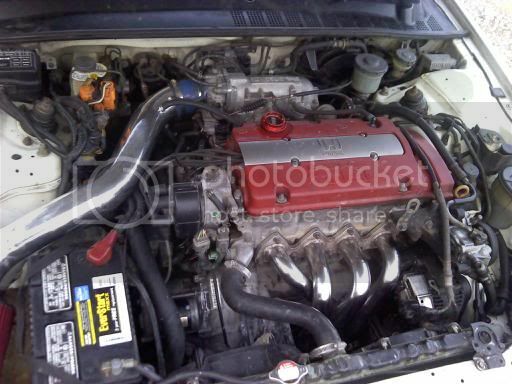 What should I do about the intake manifold? How expensive is the euro r Mani? I was looking to port my stock one but not if it's not worth it. small amounts. Think what everything costs, save money and order those stuff. Last edited by TypeT; 11-25-2011 at 12:27 PM. Damn... Those were about the same prices I found.. I really don't wanna go turbo on this one but I see why everyone opts to go that route. Thanks for the advice. I did think ahead and plan on doing everything at once. You didn't port out your s2 intake did you? What about cutting the balance shaft belts. I've heard of about an 8 hp increase from this. You just get more vibration at idle, correct? well when my head was ported my S2 IM were there too, but Im pretty sure the guy who ported the head didnt need to do anything to it. S2 IM opening is 66mm so I just bought 66mm throttle body that I dont need to port match them together. Last edited by TypeT; 11-26-2011 at 08:36 AM. O no I've rebuilt several motors so I'd be doing all the work myself. What about cutting my balance shaft belts?